How much can I afford to spend? In addition to the purchase price of the intended new or used bike, you also need to consider the cost of any modifications or aftermarket products needed to make the bike meet your touring needs. For example, if the intended touring bike is a standard (or naked) bike, the cost of installing an aftermarket windshield, luggage, seat, etc. should be added to the purchase price in determining how much the bike will cost. Will I be riding solo or two-up? Touring with a passenger often translates into needing a more powerful bike with more carrying capacity than touring solo. As a rough guide, a two-up touring bike should have a carrying capacity (riders + gear and luggage) of at least 450 pounds. (GVWR – lbs. wet) and put out 60 hp or more. Twisty/Technical Paved Roads: Sport, sport-touring, standards, dual sports with at least 650cc. Unpaved Roads: Dual sports with at least 650cc. These are just general guidelines, because I’ve toured on gravel roads with cruisers and sport touring bikes (although not for a great distance), and I've also ridden cruisers and luxury touring bikes on technical, twisty roads and had a great time. Do I plan on camping or staying in hotels/motels? If the intended touring bike will be carrying camping equipment, then it obviously will require greater luggage capacity than if you will be staying in accommodations with fixed walls and a roof. Also, it’s helpful for a touring bike taken on camping trips to have external hooks, grommets and other tie-down hardware for strapping-on additional gear externally. What length of trips am I likely to take, both in terms of number of miles and days? Longer trips impact several of a bike’s key touring attributes discussed in the section below, including carrying capacity, fuel range, and comfort. What is the maximum seat height of a bike that I can ride safely? Many touring bikes have adjustable seat heights and other bikes can be lowered an inch or so with aftermarket suspension components. Because fully loaded touring bikes are, by nature, heavy, it’s very important that riders not exceed a safe seat height for their particular inseam. Reliability: The prospect of a breakdown on a lonely stretch of road far from home can be a most unpleasant experience. For this reason, a touring bike’s reliability is of paramount importance. Select a touring bike with a demonstrated reputation for reliability. If the bike under consideration is used, try to determine the care with which it has been maintained; have a qualified mechanic check it out before purchase. All other things being equal, when evaluating used bikes, less mileage is better than more. Riding Range Before Refueling: This is somewhat dependent on what type of touring you will be doing and where you’ll be doing it. In highly populated areas, a range of 125-150 miles is probably sufficient. For more remote areas, a bike with a range of at least 175-200 miles should be selected. Auxiliary fuel tanks can extend a bike’s range, but be sure to observe proper safety precautions when transporting additional fuel on your motorcycle. For off-pavement touring in remote areas, it’s probably not possible to have too much fuel. Carrying Capacity & Type of Luggage: Bigger bikes do not necessarily have more carrying capacity than smaller ones. Therefore, it’s important to calculate each bike’s carrying capacity by subtracting the bike’s wet weight from its GVWR. The amount of carrying capacity needed equals rider(s) weight + riding gear + luggage (and any camping gear). Also, the convenience factor of having lockable hard luggage is an important consideration in selecting a touring bike. Wind Protection: Because wind buffeting is more tiring during a long day of riding, and it can increase the risk of hypothermia, wind protection is clearly one of the most important considerations in selecting a touring mount. Fortunately, the aftermarket can help you accessorize rides that don’t come with adequate wind protection from the factory. Suspension: A bike with an adjustable front and rear suspension will allow riders to dial in the proper settings for the load they will be carrying. 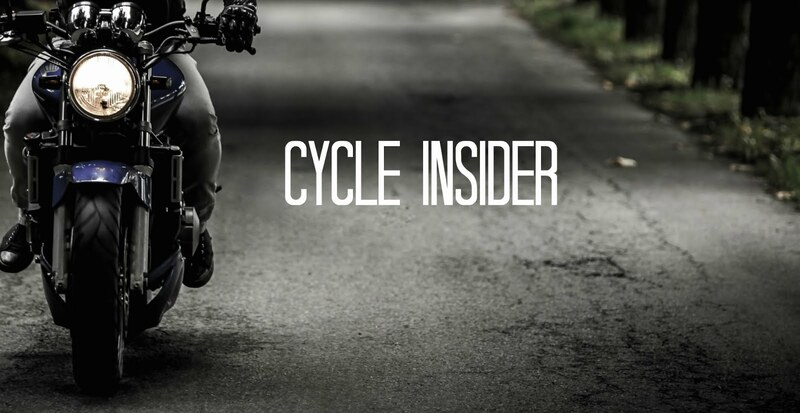 Unfortunately, many bikes have suspensions that aren’t adjustable, except possibly for preload and damping in the rear and are sprung too soft. Here again, the aftermarket can help supply solutions. Seating Position: The ideal seating position for long distance riding is for the rider to be leaned slightly forward with his or her feet positioned under their thighs. Handle bars positioned below the triple clamp and rear set foot pegs put riders in a “jockey position,” which is great for corner carving, but can be quite tiring for the wrists, arms and legs. At the other extreme, the stretched out, laid-back riding position on some cruiser bikes concentrates the rider’s weight on the tailbone, which also can become very uncomfortable on a long-distance ride. Seating Support: To help keep their motorcycles cost competitive, some manufacturers don’t provide a high quality seat with their new bikes. For multi-day riding, it’s important that a seat have firm support that’s not concentrated in one area. Even a relatively short motorcycle ride usually will reveal any shortcomings in a seat. If your stock seat doesn’t do the job for touring, aftermarket seats can provide a big improvement in long distance comfort. The best solution, however, may be a seat that is custom made both for your bike and your body. Sportiness: There’s usually a noticeable trade-off between a bike’s sportiness and its comfort and carrying capacity. For example, a sport bike can be a lot of fun for a day of zooming over twisty tarmac, but it may not have the level of comfort and carrying capacity you need for extended trips. If you’re a young and spry sporty rider, who needs only enough luggage to carry fresh underwear, or if you’re older and much less spry, then the decision on what type of touring bike to select is probably not a difficult one. But most of us are somewhere in-between and there are sport-touring, standards, cruisers and other types of models that can meet our individual needs. And it’s worth mentioning that many of today’s larger touring bikes can be pretty agile on all but the most challenging roads. In the final analysis, though, only you can determine what the right mix of sportiness versus comfort will be for your touring expeditions. Selecting the best bike to meet your needs, unfortunately, is made more complicated by the interactive nature of the considerations discussed above. For example the best motorcycle for your touring needs may be a luxury cruiser, but purchasing a new one may be cost prohibitive. One possible way to navigate through the selection process is to numerically rate each of the considerations. For example, estimate how likely it is that you will need extra carrying capacity for camping or riding with a passenger or how often (and how fast) you’ll be riding technical, twisty tarmac. Don’t be overly concerned about trying to select the perfect bike to meet your motorcycle touring needs for the next 20 years, because your preferences and the motorcycling hardware offered by manufacturers will likely evolve over time. And who wants to ride the same mount for 20 years anyway? Still the most important thing to consider when choosing bikes is safety. Make sure that the bikes are in good condition to function well on the road and prevent accidents. Reach United Airlines Phone Number to get the best deals and offers for flight bookings. We provides the best offers on United Airlines. The executives at United Airlines Phone Number books cost-effective tickets for passenger’s benefit. if you want to reserve your flight you can visit on <a href="https://airlinesreservation.org/turkish-airlines/><b>Turkish Airlines Reservations</b></a> website you can get best discount and deals from here.